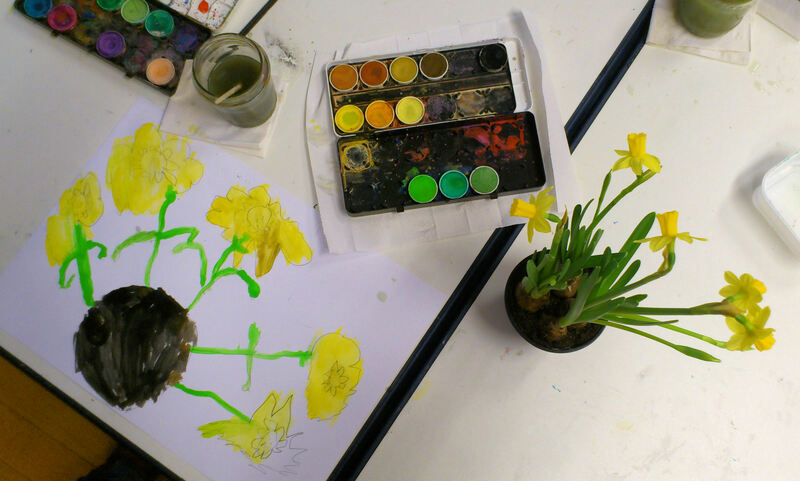 For the still life subject I brought in two pots containing Spring bulbs – daffodils and grape hyacinth – for the children (aged five to eight) to draw. Before they picked up their pencils, we took a close look at each plant and talked about the shapes and colours of the leaves and flowers. 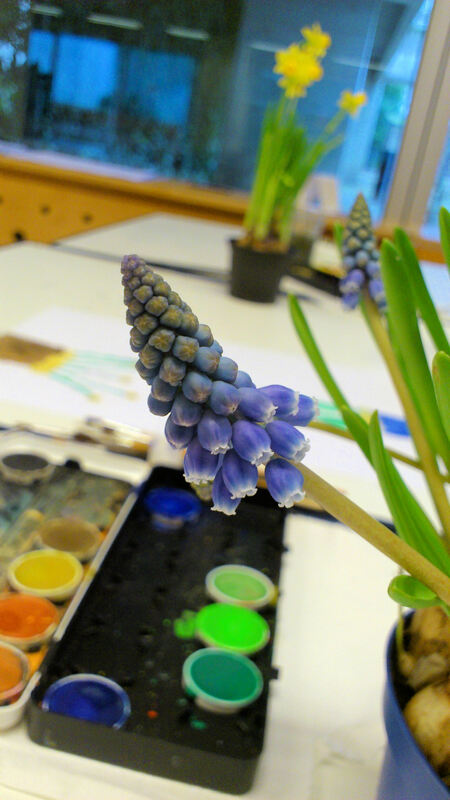 The children observed that the grape hyacinths were shaped like tiny Christmas trees and made up of tiny flower buds which were open at the bottom and still tightly closed at the top. We also talked about the slightly pointed petals of the daffodil flowers and the ‘trumpet’ shaped central part, which is called the ‘corona’. As always at the beginning of an observational drawing project, I asked the children to “draw what you can actually see, not what you think a flower looks like”. 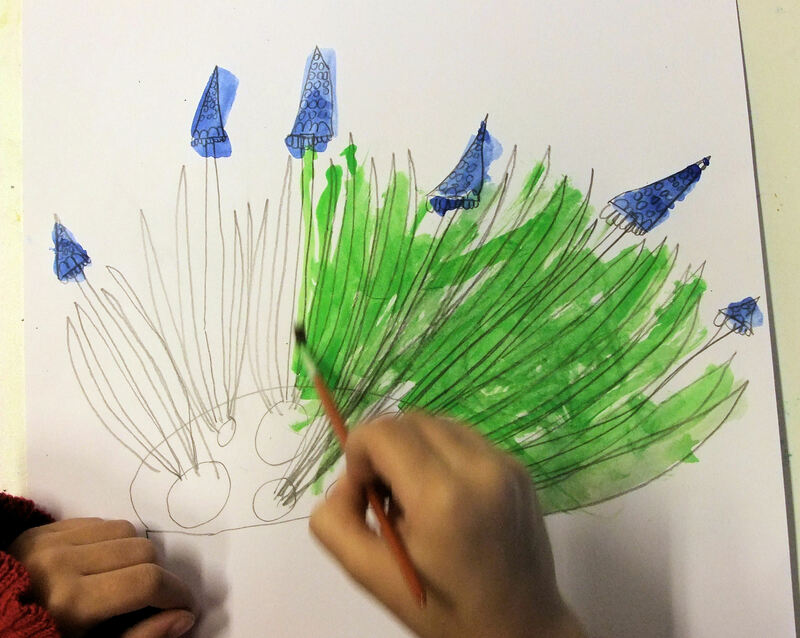 Some children drew both plants and others spent time focusing on one. The drawings were finished off with delicate gouache colours. Love these! careful observation and repetition of shapes. Beautiful! You’ve got me inspired as well Hannah!